ysabetwordsmith | Poem: "A Deliberate Scheme"
This poem is spillover from the May 3, 2016 Poetry Fishbowl. It was inspired and sponsored by LJ user Ng_moonmoth. It also fills "The Veteran" square in my 4-1-16 card for the Archetypal Characters Bingo fest. This poem belongs to the series An Army of One. in Spalling's Super Surplus Shed. like something I'd hang on a whore." exactly what the Alta Familia like." "The whole box?" Spalling asked. set in a band of nickel-iron. the star of his life, or the like." "That I can see," he agreed. that held a peridot cabochon. "It's a pity these don't match." for future shipments," V said. "That one wouldn't sell anyway." could afford it," V explained. he slipped the ring onto his finger. "I'll just take this as part of my share." no bigger than V's fingernail. "You know a lot," Spalling said. meant to know," V corrected. on the pallet for the Alta Familia. "Because it's true," V said. only tutors and sport coaches and socials." "You don't sound happy with it,"
in mind -- naturally opposing each other,"
V said. "I would have preferred a school." lonely in the military, until after ..."
divided into Before and After. a cart heavily laden with factory supplies. mostly docile citizens with a few leaders." "Or it was," Spalling said, looking down. it once was, on Trunnion or elsewhere." another box on the manifest. "Many things will need to change." "Why not change the schooling?" for hobbies and all that." A faint smile curled V's lips. Spalling said with a snort. you do for the fun of it." you know how to cheat at cards?" but rarely break the official rules. It is considered a low-class ruse." "Then they'll never see it coming,"
a few lessons in cardsharking?" about it," V said. "I'll try it." think about the Lacuna goods?" "I see a lot of raw potential,"
using the resources they have." on leftover stores from the military,"
find stuff to trade for more." independent of outside aid," V said. "That means food and life support. I believe they know this already." so that's good," Spalling said. and feel confident they'll buy it. The tech supply is harder, though." they have in the meantime." Spalling said, jotting a note. Spalling cast a sharp look at V.
"Got someone in mind for that? Or a deliberate scheme of your own?" V gave him an enigmatic look. and the card games," Spalling said. then build on that foundation." "A fine plan," V agreed. these boxes won't haul themselves!" for the Alta Familia market. 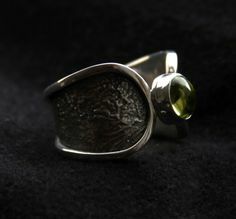 Meteorite jewelry is beautiful and can be made in various ways. Meteoric gems include diamonds and peridots. Locally our meteoric diamonds are tiny, but elsewhere in the galaxy they might be bigger. See the spinel earrings, diamond ring, Spalling's peridot ring, and V's meteorite necklace. Education is often divided by socioeconomic class, where poor and middle-to-upper class students have quite different schools. The wealthiest may forego school altogether in favor of private tutors. Those educations prepare them for divergent career paths too. Some events are so momentous that they divide life into before and after. This is particularly true with workplace tragedies, and some people need to talk about that. Spalling hasn't really had that opportunity until recently. Bystanders may be affected but handle it poorly when dealing with those more directly affected, which made it untenable for Spalling in the military. There are ways to heal and find a new normal. One way is to focus on doing things, which both Spalling and V have chosen through running the supply center. Planning ahead is a crucial life skill. Think about how to do that on a cultural and personal scale. Now this is promising. Cardsharking the aristocracy (risky, though), supporting the Lacuna from outside through commercial means from personal political preference alongside decent profit motive... yum, yum! :D We have a long-term plan about building an economy in the Lacuna. Doing that requires some outside assistance because there was so little for them to start with. V and Spalling are among the few people well placed to make a huge impact on galactic politics.